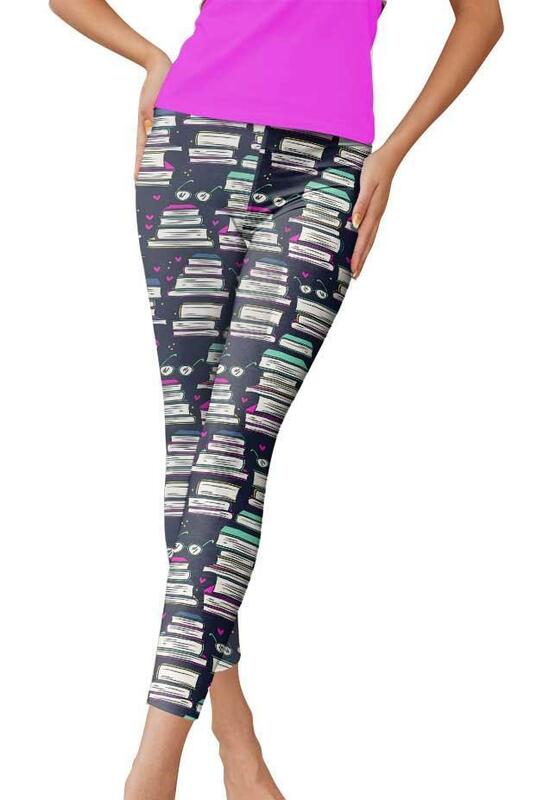 Talking about funny prints of leggings, when it comes to the book design, you will be floored to see all. 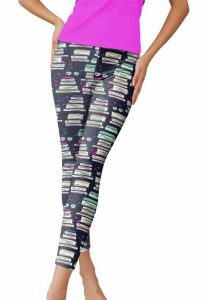 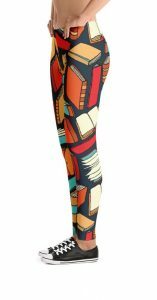 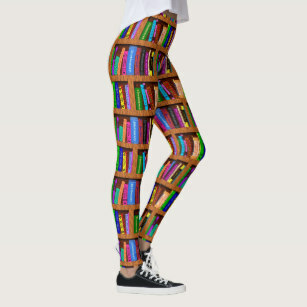 The following list is full of such leggings having interesting book designs. 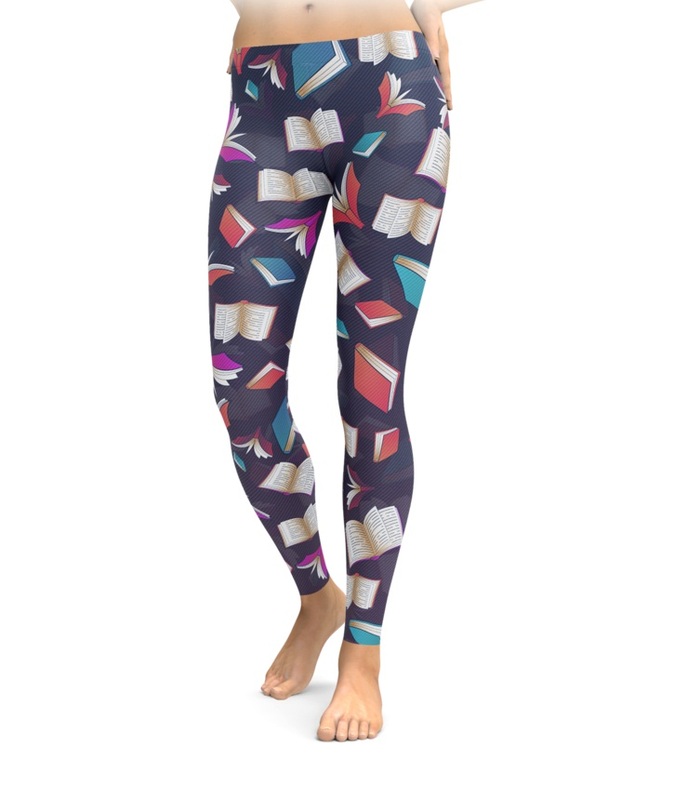 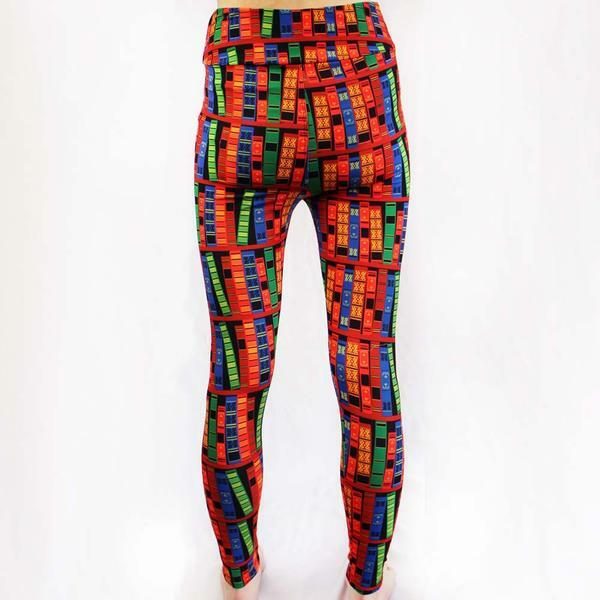 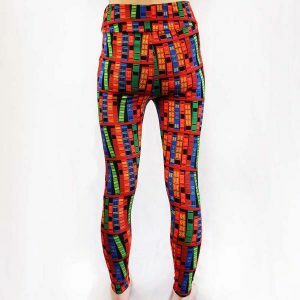 The colorful book leggings are good for flaunting a statement style. 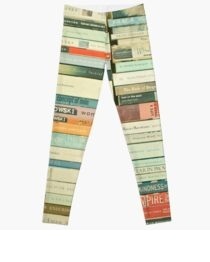 With a white or tan shirt, this pair of leggings look just perfect. Bookcases and books printed on the leggings make the pair interesting. 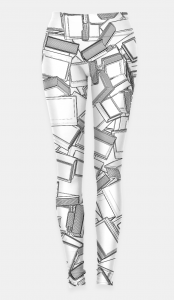 Since the color is dark, any light colored tops will go well with it. 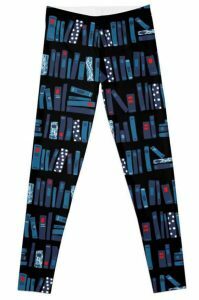 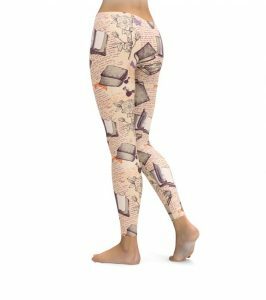 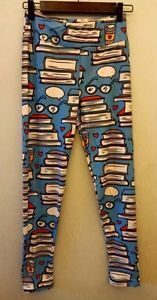 If you are a book lover then the following leggings will be good for you. 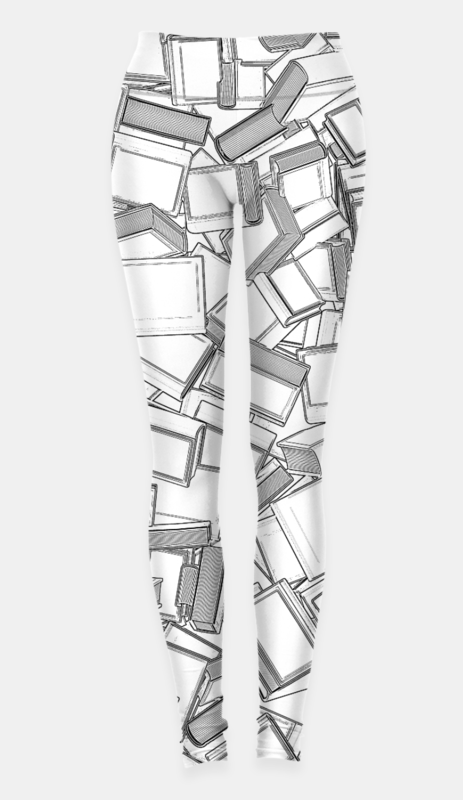 With a crop top, the leggings will have a complete look.